“Why are you racing in Asia?” asked literally everyone. At first I was keeping track of how many times someone asked me this question, but after the first dozen I decided to finalize the count at “a lot.” So why did I choose to race in Asia to kick off the 2017 season? In short, because racing in Asia is the best! 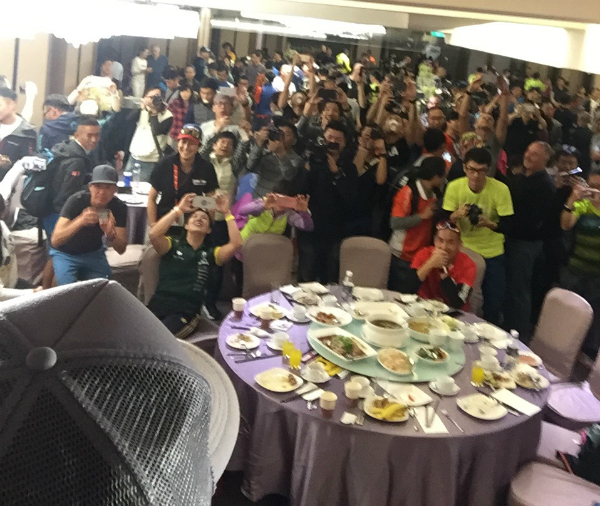 The picture below sums it up – my view from the stage after the “meet the pros” part of the pre-race banquet at Taiwan 70.3. 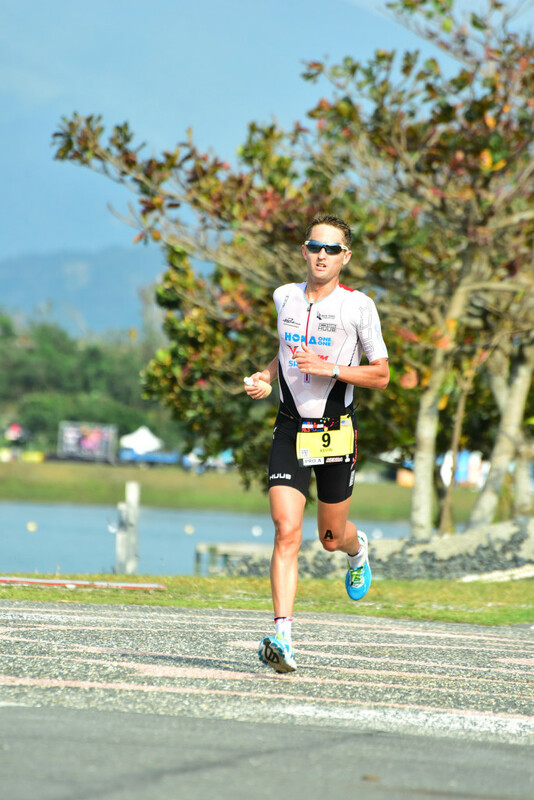 Triathlon is alive and well in Asia, and the support for the professional side of the sport is unmatched. Let’s be honest, these people are probably just here to take pics of local celebrity Guy Crawford. Another reason is that I got to race two races in one trip – Subic Bay 70.3 in the Philippines followed by Taiwan one week later. 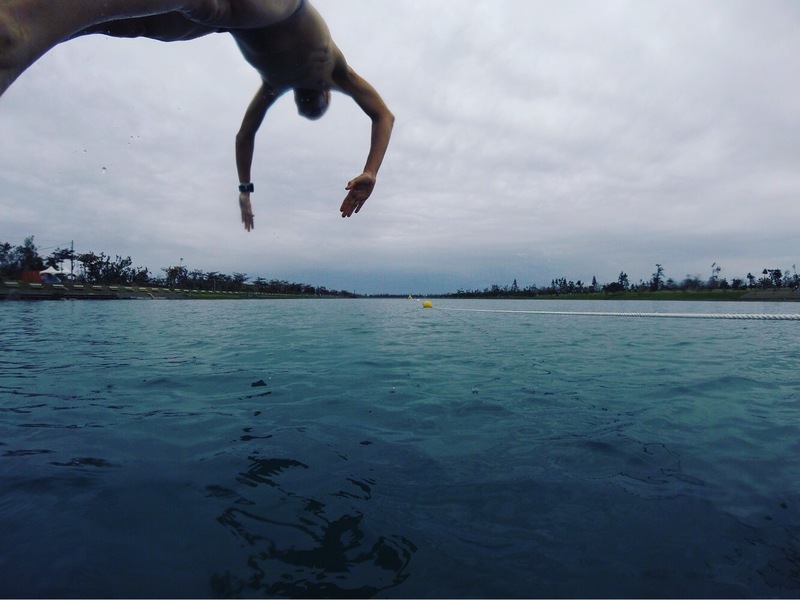 This was meant to be practice for later this year when the North American Champs (St. George 70.3) and the Pan American Champs (Monterrey 70.3) fall on back to back weekends. 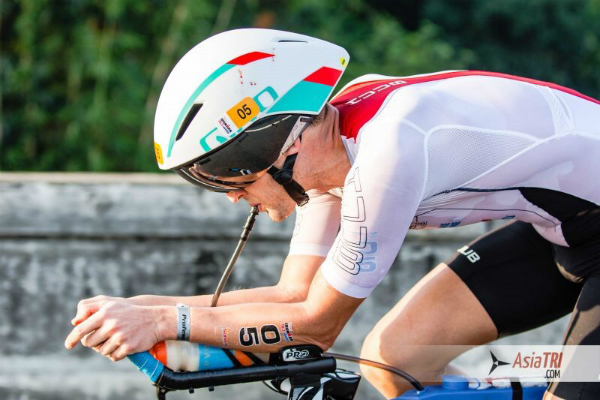 Spoiler alert, I had a no-good-very-bad-race in Taiwan so I have a few things to work on if I want to do well at back-to-back 70.3s. Subic was a decent race for me, though, so early season fitness is on track. Hanging out pre-race in Subic Bay with this scenic container ship in the background. 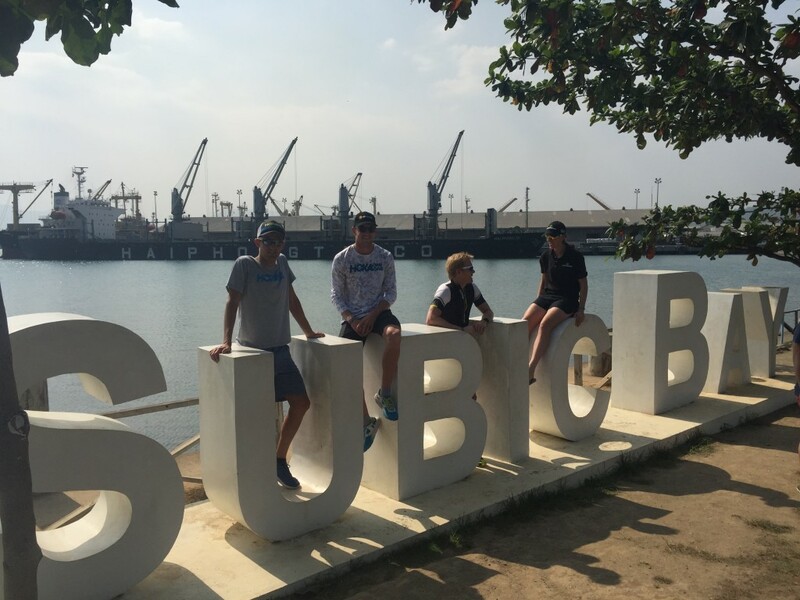 A small but top-heavy field showed up in Subic including current 70.3 World Champ Tim Reed, multiple time World Champions Craig Alexander and Michael Raelert, 70.3 Worlds bronze medalist Ruedi Wild, and 2004 Olympic bronze medalist Sven Riederer, plus others. In other words this race was going to be a good test of fitness. I swam well, comfortable and composed near the front of the group, and rode within myself to come off the bike in a group of ten athletes ready for a hot and humid half marathon. I ran with Tim Reed and Crowie for about 6km before the pace became too much for me, but at this point I was solidly in fifth place. At the turnaround at 10.5km I was three minutes up on sixth place Tim Van Berkel, allowing me to do the professional thing and shut down the effort knowing I’m racing another 70.3 in seven days. So I jogged it in and recovered perfectly for my second race, right? Umm no. At about 16km I see someone up ahead leaning over the guardrail and vomiting. None other than Sven Riederer. I think to myself, “Oh great, I’ll get fourth now,” but as I ran past him he sees me and starts running with me. All of a sudden I’m RACING again. I wasn’t about to let an opportunity to race Sven Riederer pass me by (a guy I “raced” many times in ITU), plus he just lost all of his race nutrition so how hard will this be? We traded accelerations back and forth for the last 5km of the run but he was definitely not much worse-for-wear due to his nutritional issues. He led out the sprint when we saw the finish chute and gapped me, only to realize that you had to run 200 meters PAST the finish line, do a U-turn, and then run back. I tried to claw back the distance but he held me off. So to sum up 1) no jogging it in 2) sprinted against an Olympic medalist 3) we kind of messed up the sprint like a couple of noobs 4) for an extra $250 in prize money. Good times in Asia. “I threw up everything and then I was fine.” – Sven. 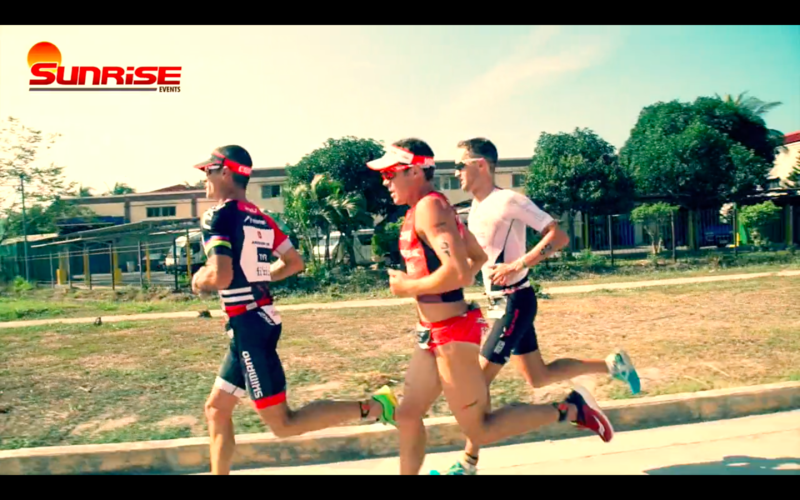 Running with Crowie and Reedy (screenshot from the race video). So I ended up in fifth place anyways, except I did it the hard way. Needless to say this was a tough effort to come back from and it showed in Taiwan the next weekend where I got a tepid ninth place. I felt flat all day in Taiwan – my legs just didn’t have anything to give. The swim course in Taiwan – a man made boating/swimming lake. 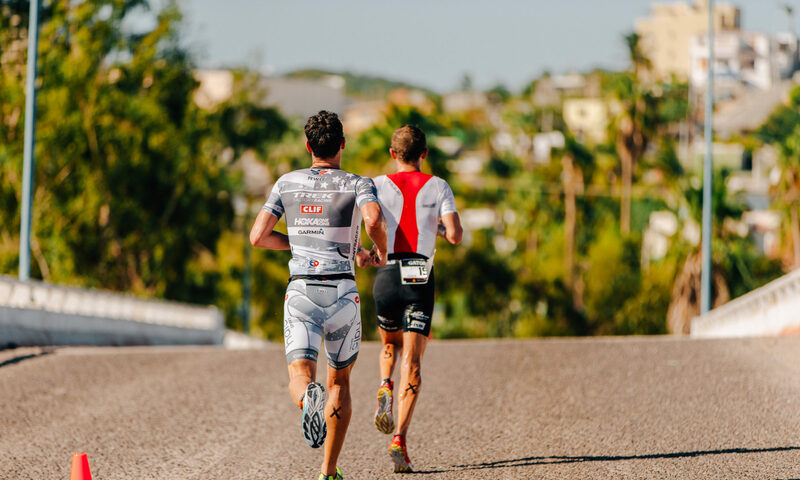 Fun fact – the “DS” in HUUB’s DS Tri Suit stands for Dave Scott. You know, the really fit older gentleman from the gym. The next race will be St. George on May 6. Time to get in shape! Next PostNext Pan American Championship!